The Annual Report provides an overview of the JRC's main activities, accomplishments and resources in 2013, highlighting its scientific and technical support to several EU key priorities: the economic and monetary union; the single market, growth, jobs and innovation; a low-carbon economy and resource efficiency; agriculture and global food security; public health and (nuclear) safety and security. A special chapter is also dedicated to the JRC's work in the field of standardisation, including the most significant examples. 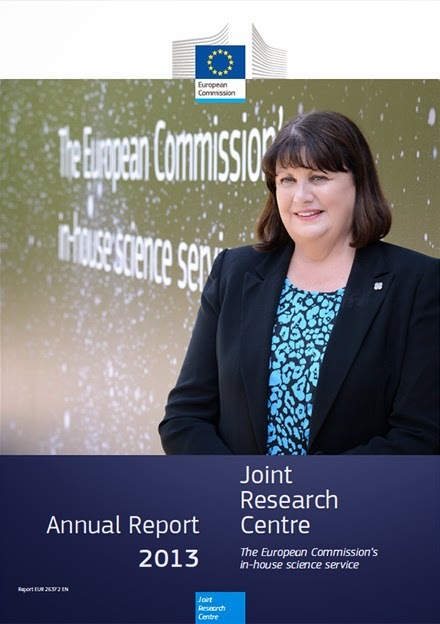 In her foreword, European Commissioner for Research, Innovation and Science, Máire Geoghegan-Quinn, praised the JRC's ability to constantly adapt its research facilities, equipment and scientific skills to rapidly respond to new and increasing demands. This flexibility is praised, as quick scientific and technical support is needed for pressing global issues such as climate change, health and food security. The Commissioner also welcomes Vladimir Šucha as the new Director-General, who took over the wheel from Dominique Ristori as of 1 January 2014. Topics featuring in this report include the JRC's contributions to a stable banking system, to a new composite indicator for innovation and to a new car emissions test procedure. It also highlights the JRC's research and initiatives in the field of climate change and biodiversity monitoring, smart grids, agricultural markets monitoring, public health challenges, disaster anticipation and management, tracking illicit nuclear trafficking and nuclear decommissioning. The JRC's unique outcomes, such as the first ever soil atlas of Africa, are also illustrated and explained.